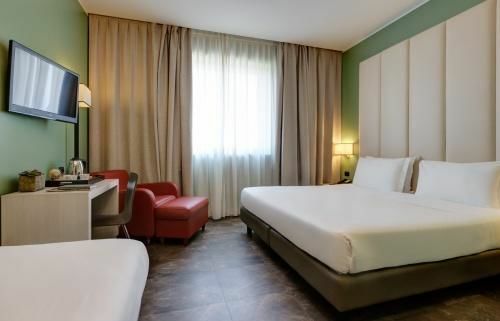 Our elegant, modern single rooms are spacious, efficiently soundproofed and extremely comfortable. Their furniture has a clean, minimalist outline, and working desks make them convenient for business guests. Located on the 1st and the 2nd floor, they overlook the Expo 2015 site. 18 - 22 sq. mt. 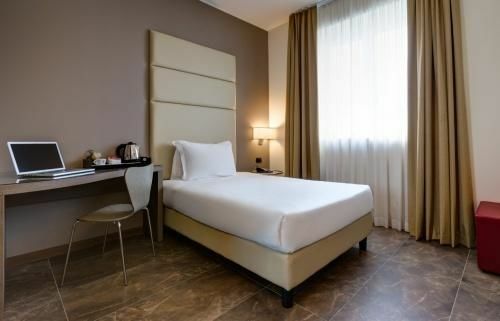 These elegant, modern new rooms from the 2nd to the 9th floor bring supreme comfort and convenience for business guests. 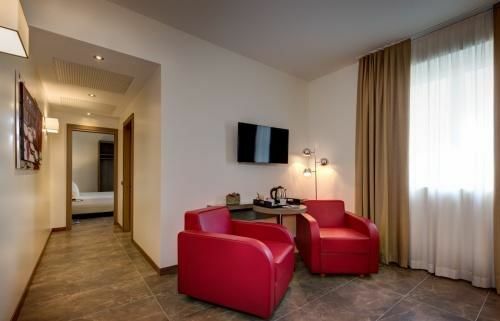 They are spacious and with efficient soundproofing system and a practical working desk. Elegant and modern, our spacious Superior double rooms from the 10th to the 15th floor are efficiently soundproofed and extremely comfortable. Their furniture with a clean, minimalist outline and working desks make them convenient for business guests. 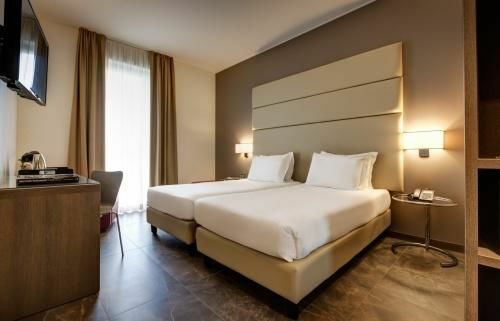 With their contemporary decor, our Standard triple rooms offer a comfortable environment with efficient soundproofing. 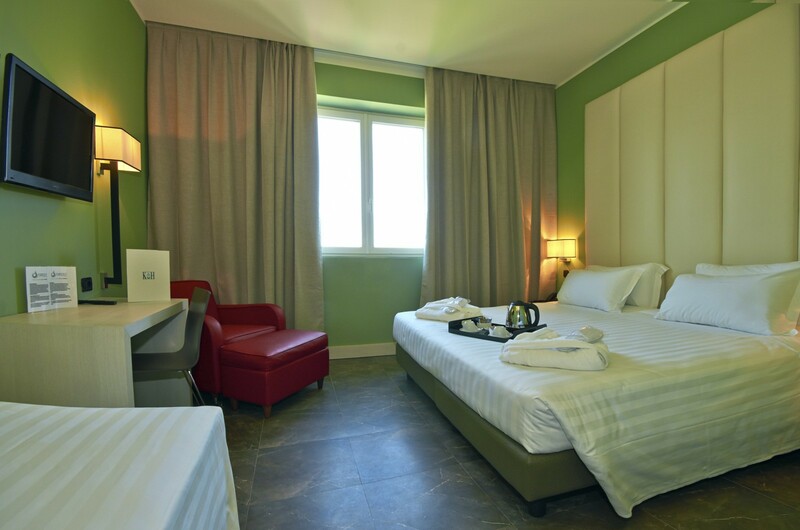 Ideal for families or friends travelling together, they are located on the 2nd to 9th floors and overlook the Expo 2015 area. 22 - 24 sq. mt. 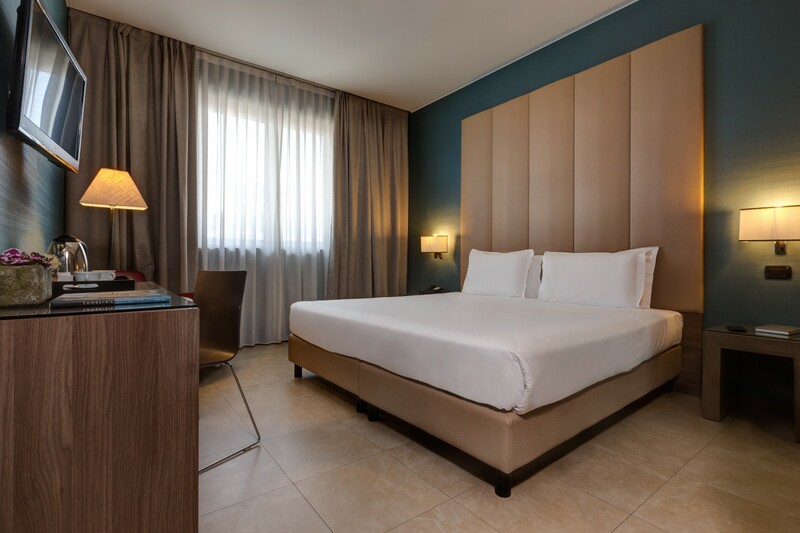 These spacious Superior triple rooms located on the 10th to 15th floors bring you supreme comfort with efficient soundproofing and contemporary decor. They are ideal for small families or friends travelling together. 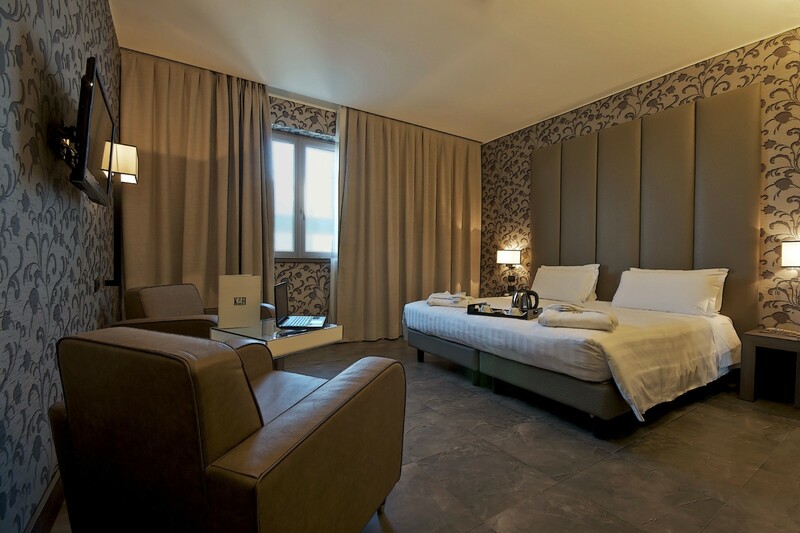 These spacious Suites comprise two separate rooms making them ideal for families or groups travelling to Milan on business or on holiday. 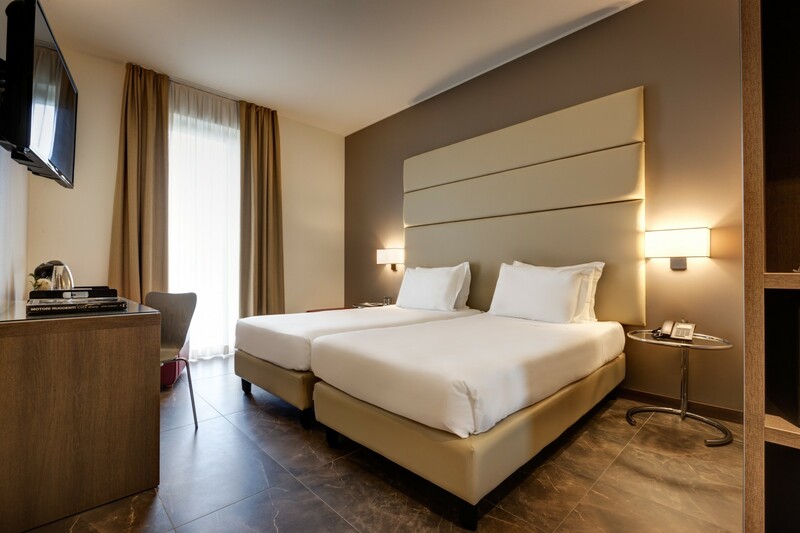 Our bathrooms offer plenty of space and boast double washbasins and large showers. 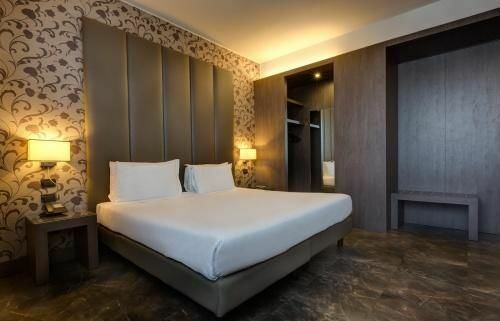 Ideal for couples travelling together or for families, these large connecting rooms bring you flexibility, elegance and practicality thanks to their wardrobes and efficient soundproofing.